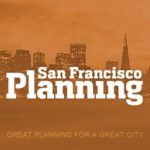 The San Francisco Planning Department (CPC) is seeking an experienced Project Manager who has a proven track record of success in driving large-scale transportation, engineering and/or planning projects and the ability to manage relationships with community, city, state and federal organizations. The Project Manager will lead the effort on behalf of the City to implement the Railyards and Benefits Study and to bring Caltrain and High Speed Rail to the Salesforce Transit Center. This position is critical to support the City’s current and future development and transportation needs. The ideal candidate will have strong project and time management experience within a complex governance system and the ability to incorporate problem solving, critical thinking and tactical execution into their daily work. 5) actively participate in the Citywide Department’s management team and manage, mentor, and grow staff that may be assigned to this body of work. California registration as professional engineer or architect. Experience in transportation and land use planning. Experience in civil and/or rail planning engineering and operations. Experience in directing consultant studies on schedule and on budget. Ability to interpret and present the results to community members, decision-makers, and staff from a variety of agencies. Experience in strategic planning, critical thinking and problem-solving skills in an urban context related to the integration of transportation infrastructure and land use. Experience in working effectively with engineers, planners, lawyers, administrators, and other staff across multiple agencies or organizations. Visit: https://jobapscloud.com/SF/sup/BulPreview.asp?R1=PEX&R2=5502&R3=092568 to register an account and to view this complete job announcement for application submission requirements.